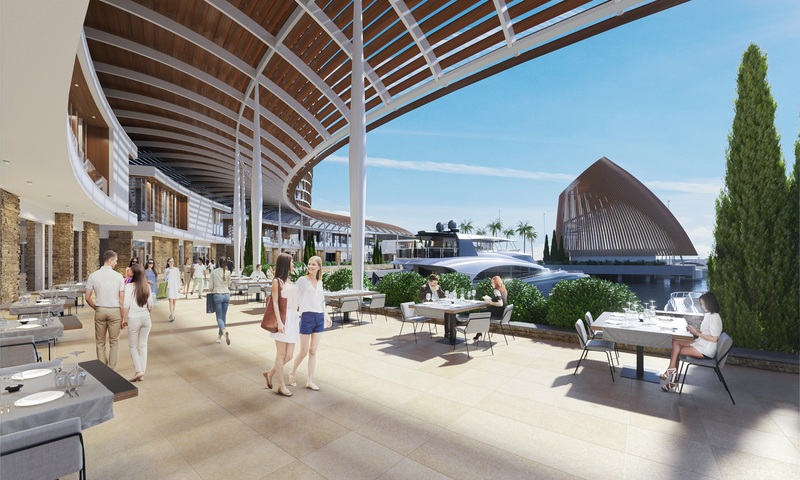 Twenty-nine luxury villas are located along privately maintained and secured roads on the marina island and the peninsula. Each lot includes significant space for landscaped gardens. Eleven of the villas fan out around a beautiful crescent-shaped man-made beach of fine grained sand; while the other eighteen directly overlook the marina and feature walk-out access to secure docks. 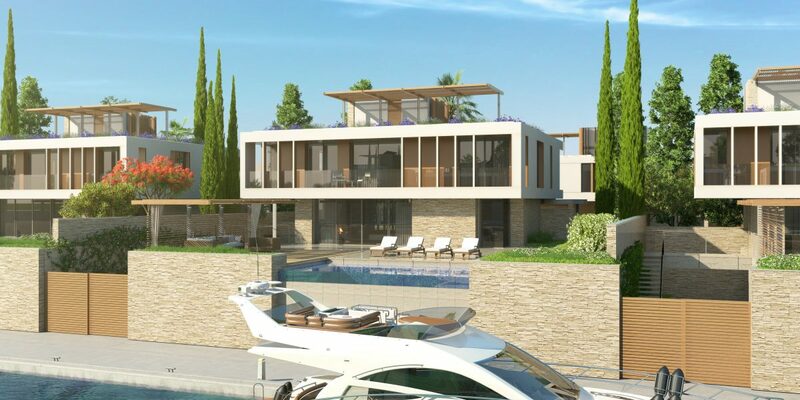 All villas are designed with a modern, open-plan concept, with primary spaces oriented towards the sea, they are fully detached and are comprised of four levels – ground level, first floor, roof garden, lower level. Oversized 2.8-meter-tall glass doors slide away into the walls, extending the ground level main living spaces out onto the veranda and pool deck. Each lot includes a private plunge pool with infinity edge. 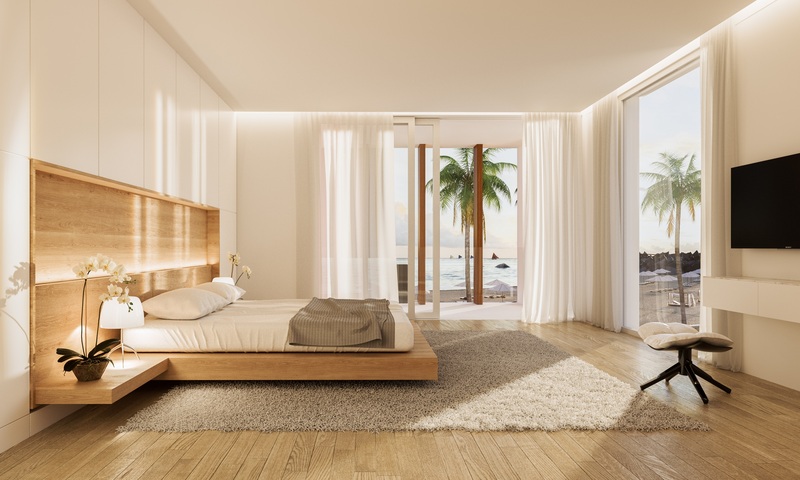 The upper floor bedroom level also features full-height sliding glass doors that open onto wood-decked covered verandas, allowing in the Mediterranean breeze and views. Lower levels open out into private sunken gardens and courtyards. 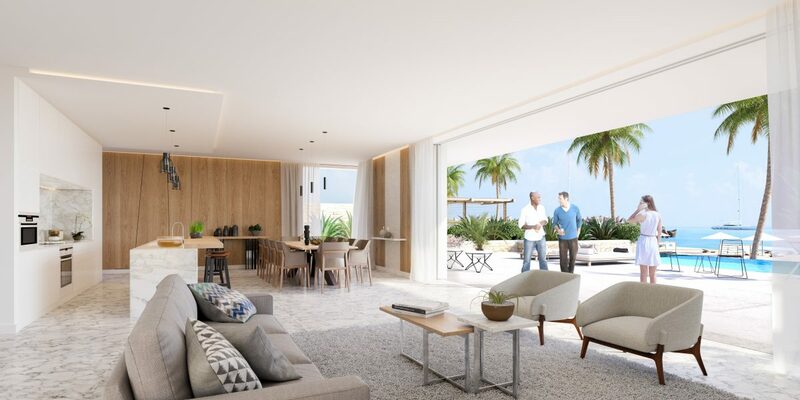 With floor-to-ceiling windows offering natural light, stunning and unobstructed views of the Mediterranean Sea and the marina, these refined and elegant homes effortlessly combine comfortable indoor and outdoor living. 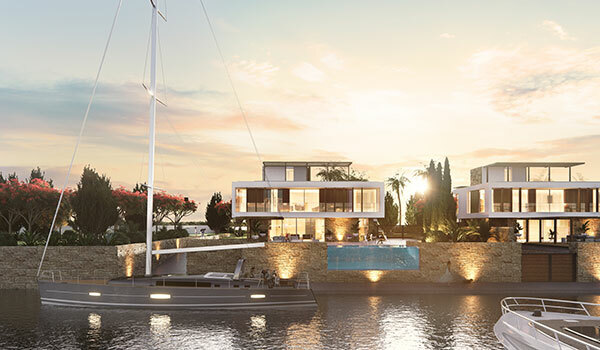 A selection of thoughtfully designed luxury residences provide comfortable spacious modern living with uninterrupted panoramic views of the Mediterranean Sea. Its unique location, crystal clear seas, stunning beaches and incredible views combine to entice boaters, visitors and residents who appreciate a lifestyle of class and elegance. 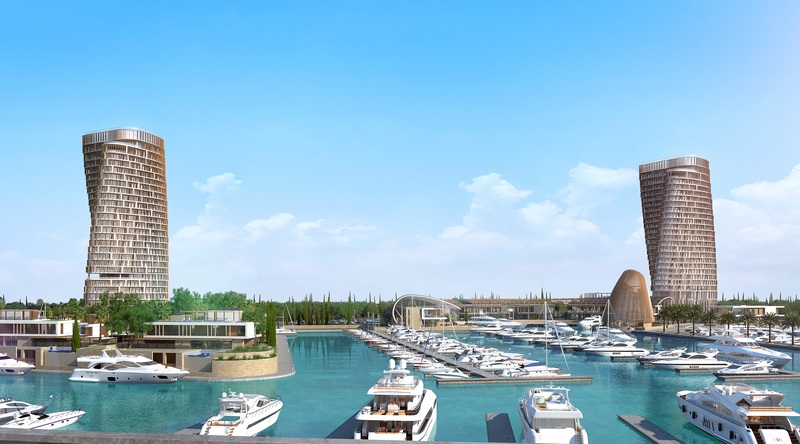 With complete privacy and round-the-clock security for homes and yachts.